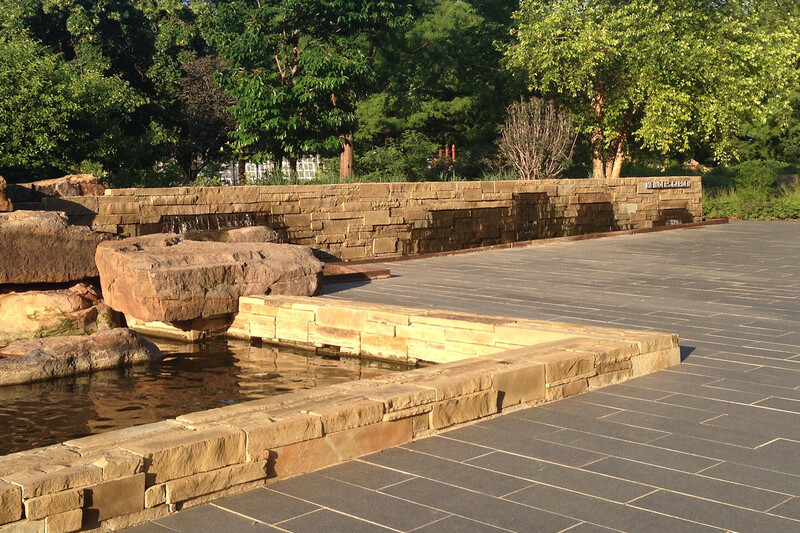 Located at the Myriad Botanical Garden, a vast oasis in the middle of an urban environment, visitors to the site are greeted by an entry waterfall that utilizes stones native to the Ozarks landscape. 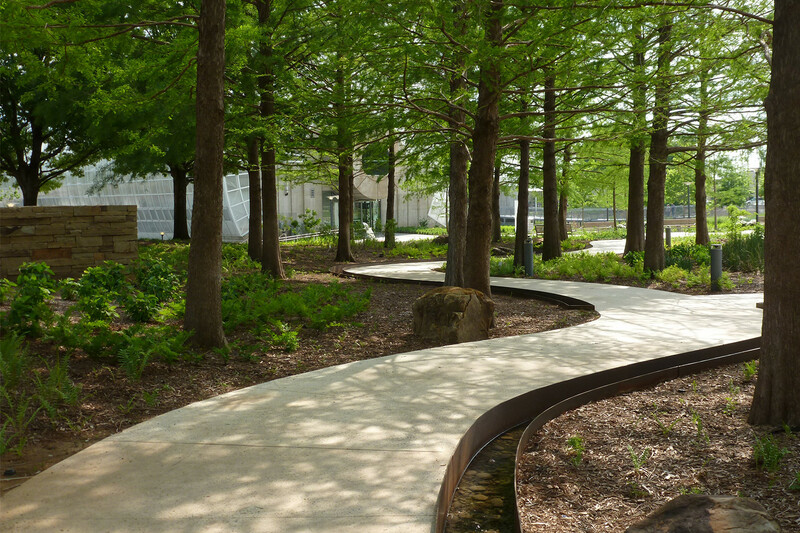 Water flowing through the garden is expressed from high exuberance down to a trickle along the meandering journey and eventually down a 20-foot grade to an existing lake. The genius loci of the site is a signature geologic feature that creates a powerful visual statement and imparts a strong identity. 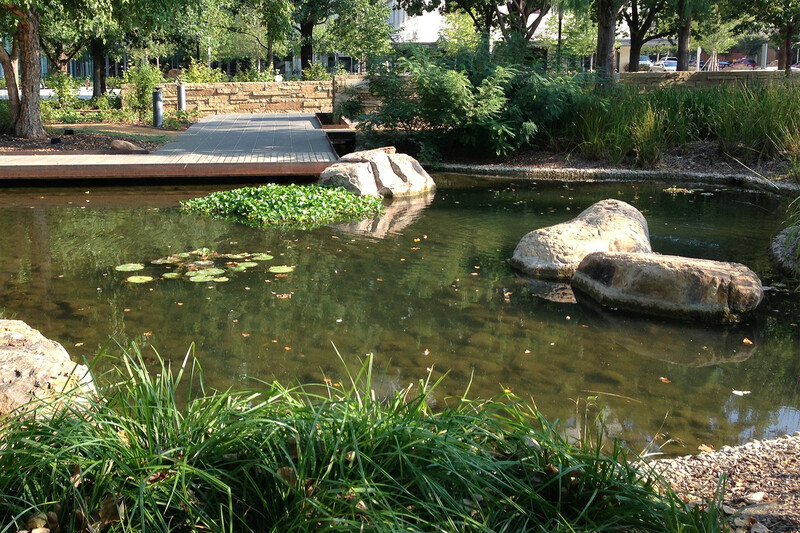 In addition to utilizing regional stone, native plants are celebrated to demonstrate the local ecology and landscape further reinforcing the interpretive mission of the botanical garden.